It has still been snowing in Colorado and the skiing has been getting better and better! 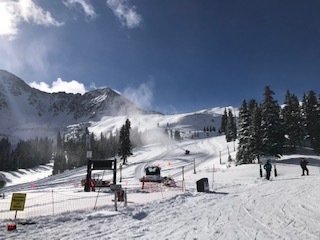 The student-athletes have been skiing Arapahoe Basin still, which has offered a lot of really good varied terrain which is exactly what our Okemo kids need! The racers have started to incorporate a lot of drills into the day, coupled with full length runs. 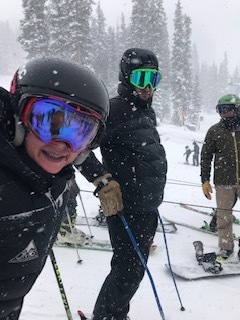 On Wednesday, they started running gates on Copperopolis at Copper in the afternoon! They were in the lane next the US Women’s Development Team, so they were able to watch some amazing skiers and get some great training runs in. All the student-athletes have been great about getting their homework done at study hall, doing their tuning, and getting to bed at good hour. A couple more days of freeskiing and training and they will have a well deserved day off!